…is to secure a vibrant future for all the Calder Valley by holding and developing land and buildings sustainably on behalf of the community. Our main focus is in delivering community-led developments to create homes at affordable rents in Todmorden, Hebden Bridge, Mytholmroyd and the upper Calder Valley. working closely with Calderdale Council’s housing team. Housing is a real issue in this country, and the commercial housebuilders just can’t provide all the homes, and certainly not the affordable homes for rent that we need. So CLTs are springing up everywhere as local people tackle their own, specific local housing issues. But what is a CLT? 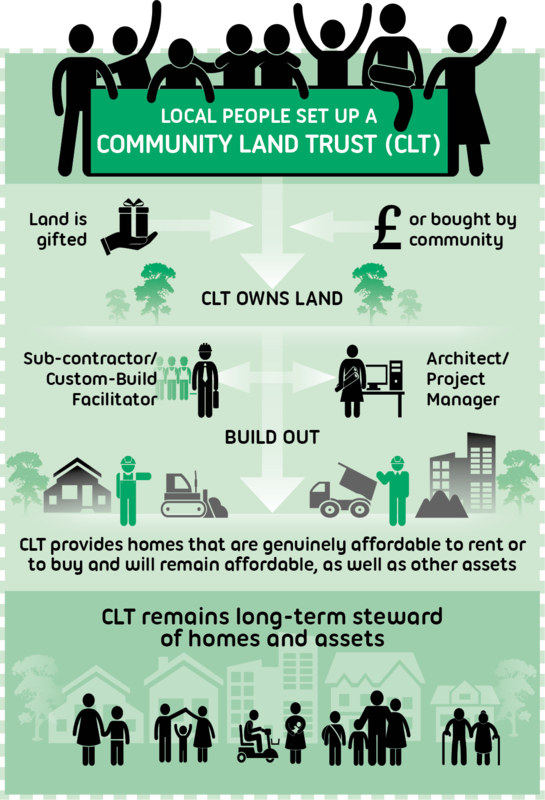 The National CLT Network has produced this simple diagram and a great video explaining what CLTs do and why they are needed today.